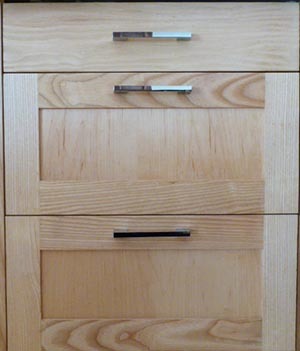 We specialise in manufacturing our Kitchen Cupboard Doors to your specification, ensuring a perfect match to the rest of your kitchen. 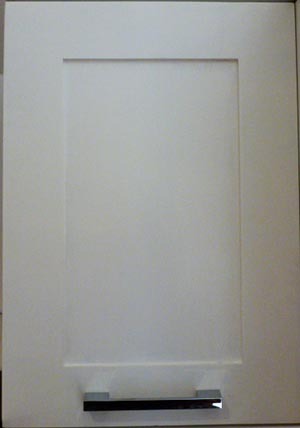 Doors comprise a frame combined with a decorative panel and can be made from either wood, glass or metal. 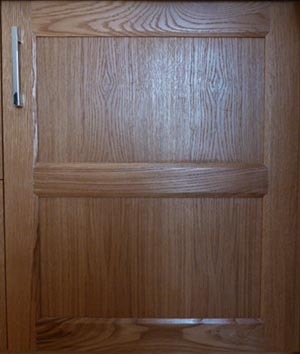 Door panels are typically left "floating" within the frame, to allow for seasonal expansion and contraction. 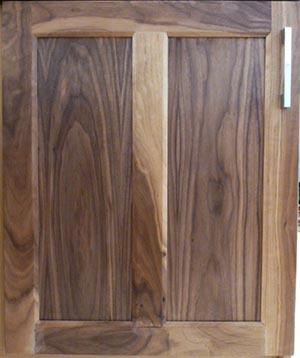 If selecting wood, we offer both solid wood and veneered engineered wood. 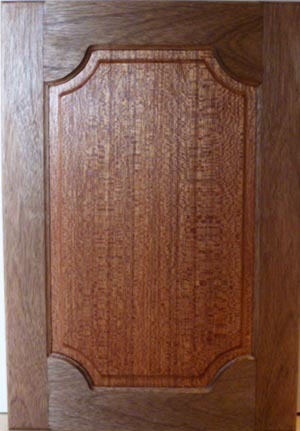 Solid wood allows us to produce finer detail on both frames and panels. Where glass doors are selected, the effect can be enhanced by using glass shelves to allow light to reach throughout the cabinet. Concealed interior down-lighting can also make a dramatic impact.